Every business recognizes that a better understanding of data (particularly as a predictor of the future or as an identifier of existing issues) can create new opportunities and make a significant difference to managing performance. 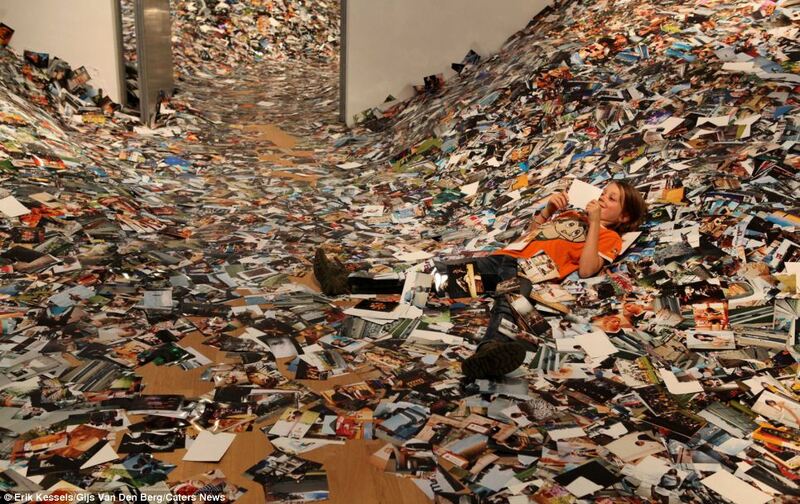 We all feel like we are drowning in data. Data obesity, Data Deluge, Data overload, Data Saturation — are real problems to be addressed with business intelligence, business analytics and predictive analytics. The core business drivers are well understood…. better analytics to acquire, grow, retain customers; do “what-if” analysis, detect fraud and manage risk better? How do we change status quo and take the next step? 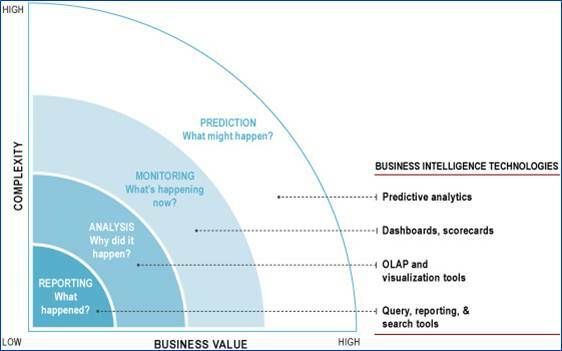 As seen in the figure, predictive analytics is the natural evolution of BI processes, tools and technologies to answer these questions. While BI focuses on historical analysis, analytics builds upon this set of technologies and techniques to re-focus on the future; helping predict future trends, opportunities and threats. The new cycle is “Ingest, Model, Deliver insights”. Ingest continuously large volumes of data, model quickly using pre-built models, and deliver real-time recommendations or predictions. 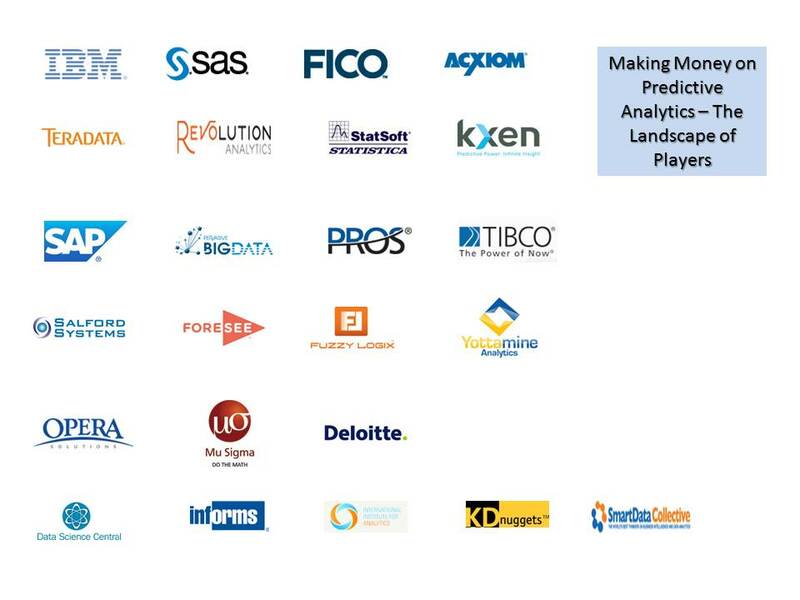 Some of the well known and lesser known firms that are active in the Predictive Analytics Toolset space are listed below. The focus of tools providers is move you away from doing basic technical stuff and focus on higher end activities. The good effective tools hide the complexity, volume, velocity and variety of data that is growing exponentially. The shift from the underlying manipulation of data to decision making is essentially what the tool vendors are enabling. More transparent decisions, timelier actions, better resource utilization and continuous learning are vital to value creation. 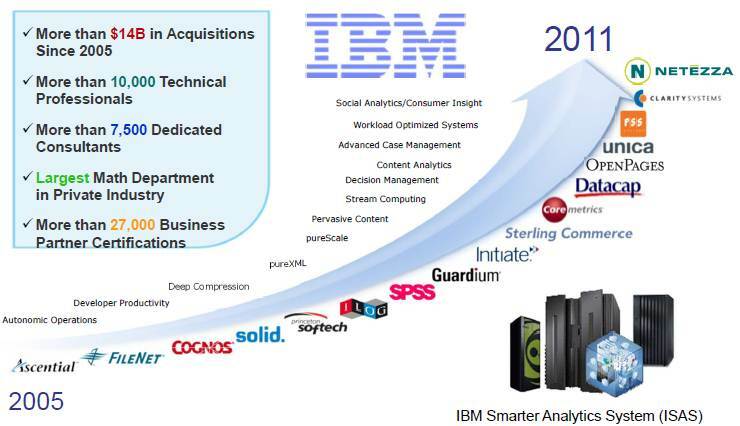 IBM has a made a huge bet on value migrating from reporting to predictive analytics. It’s made over $15Bln in acquisitions since 2005 (and counting) to bolster this value migration strategy. The centerpiece of the predictive analytics strategy is the SPSS Predictive Analytics software helps organizations predict future events and proactively act upon that insight to drive better business outcomes. Commercial, government and academic customers worldwide rely on IBM SPSS technology as a competitive advantage in attracting, retaining and growing customers, while reducing fraud and mitigating risk. By incorporating IBM SPSS software into their daily operations, organizations become more predictive enterprises – able to direct and automate decisions to meet business goals and achieve measurable competitive advantage. The overall objective of IBM Business Analytics software is to delivers information that decision-makers trust to improve business performance. A comprehensive portfolio of industry specific analytics, predictive analytics, financial performance and strategy management, and analytic applications provides clear, immediate and actionable insights into current performance and the ability to predict future outcomes. Combined with rich industry solutions, proven practices and professional services, organizations of every size can drive the highest productivity, confidently automate decisions and deliver better results. The leader in business analytics software and services, SAS empowers organizations to make better decisions with the data they already have. SAS helps you focus on what matters now and what will happen in the future so that you can deploy results where and when they’re needed. SAS claims to give you THE POWER TO KNOW. Interactively visualize, explore and communicate data discoveries. Transform structured and unstructured data into fact-based insights for better decisions. Share and deploy compelling insights to take timely actions. Monitor results and facilitate continuous refinement of your analytic models. 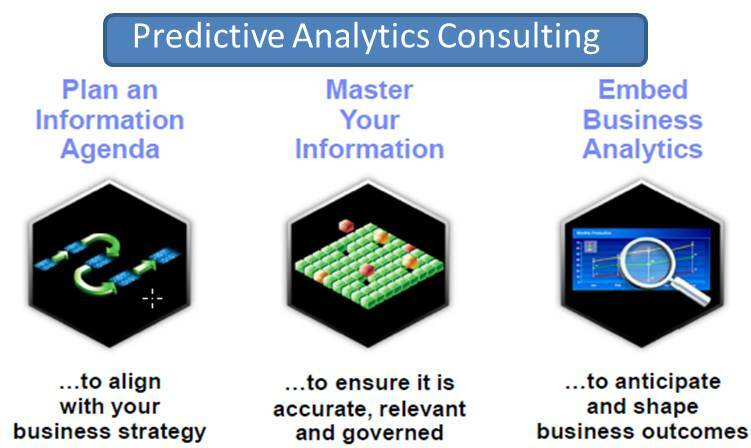 Fico delivers superior predictive analytics solutions that drive smarter decisions. The company’s groundbreaking use of mathematics to predict consumer behavior has transformed entire industries and revolutionized the way risk is managed and products are marketed. FICO’s innovative solutions include the FICO® Score, along with industry-leading solutions for managing credit accounts, identifying and minimizing the impact of fraud, and customizing consumer offers with pinpoint accuracy. Leading organizations worldwide rely on our business rules management, predictive analytics and optimization software solutions to accelerate growth, control risk, boost profits, and meet regulatory and competitive demands. Acxiom is a leader in marketing services and technology that enable marketers to successfully manage audiences, personalize consumer experiences and create profitable customer relationships. Our superior industry-focused, consultative approach combines consumer data and analytics, databases, data integration and consulting solutions for personalized multichannel marketing strategies. Acxiom leverages over 40 years of experience in data management to deliver high performance, highly secure, reliable information management services. The skills and dedication of our employees transformed Acxiom from a small data processing company into a market leader. Founded in 1969, Acxiom is headquartered in Little Rock, Arkansas, USA, and serves clients around the world from locations in the United States, Europe, Asia-Pacific, the Middle East and South America. Teradata is the world’s largest company focused on integrated data warehousing, big data analytics, and business applications. Our powerful solutions portfolio and database are the foundation on which we’ve built our leadership position in business intelligence and are designed to address any business or technology need for companies of all sizes. Only Teradata gives you the ability to integrate your organization’s data, optimize your business processes, and accelerate new insights like never before. The power unleashed from your data brings confidence to your organization and inspires leaders to think boldly and act decisively for the best decisions possible. Revolution Analytics delivers advanced analytics software at half the cost of existing solutions. The company brings high performance, productivity, and enterprise readiness to open source R, the most powerful statistics software in the world. To equip R for the demands and requirements the modern data-driven business, Revolution Analytics builds on open source R with innovations in big data analysis, integration and user experience. Leading organizations including Merck, Bank of America and Mu Sigma rely on Revolution R Enterprise for their data analysis, development and mission-critical production needs. Revolution Analytics is committed to fostering the growth of the R community, and offers free licenses of Revolution R Enterprise to academia. Revolution Analytics is headquartered in Palo Alto, Calif. and backed by North Bridge Venture Partners and Intel Capital. Statsoft founded in 1984, is one of the largest producers of enterprise and desktop software for Data Analysis, Data Mining, Quality Improvement, and Web-enabled Analytics. Its products are used worldwide at most major corporations, universities, and government agencies and are supported with training and consulting services by 29 offices on all continents. STATISTICA Enterprise is a highly scalable, web-enabled platform, used by a variety of industries in mission-critical applications wherever predictive modeling helps increase productivity and profitability. The StatSoft platform has enjoyed unprecedented record of recognition from end-users (also, winning all major independent surveys of users) and reviewers for more than two decades. These independent ratings show that while easier to use and more cost-effective than its competitors, the StatSoft analytics platform offers unmatched performance, scalability, uncompromising attention to detail and overall quality, which ensures success for its users. KXEN is revolutionizing the way companies use predictive analyticsto make better decisions. Based on patented innovations, the company’s flagship product, InfiniteInsight™, delivers orders of magnitude improvements in speed and agility to optimize every step in the customer lifecycle – including acquisition, cross-sell, up-sell, retention and next best activity. With traditional predictive analytics approaches, businesses spend over two-thirds of their time on activities that are manual, repetitive and prone to human error. InfiniteInsight™ has proven that a large portion of this effort can be automated while delivering accurate and robust predictive models. In days, not months. Proven with over 400 deployments at companies such as Bank of America, Barclays, Wells Fargo, Lowe’s, Meredith Corporation, Rogers, and Vodafone, KXEN solutions deliver predictive power and infinite insight™. KXEN is headquartered in San Francisco, California with field offices in the U.S., Paris and London. SAP is the world’s leading provider of business software, offering applications and services that enable companies of all sizes and in more than 25 industries to become best-run businesses. SAP BusinessObjects is a leading business intelligence product line that is now expanding into predictive analytics with their HANA strategy. Pervasive Software products deliver extreme performance and extreme economics for big data analytics and integration. With options for on-premises and cloud-based deployment, our data mining software and dataflow engine represent the new software platform for data-intensive analytics and preparation applications spanning claims processing, risk analysis, fraud detection, data mining, predictive analytics, sales optimization and marketing analytics. Pervasive products have a proven track record of delivering value to tens of thousands of customers worldwide, often embedded within partners’ software, with breakthrough performance, flexibility, reliability and return on investment. PROS (NYSE: PRO) is the world leader in profitability management and optimization software solutions. With our software your company can increase revenues, market share, and profitability by removing uncertainty from complex pricing processes and decisions. Science-based software provides you the ability to precisely and efficiently analyze, optimize, and execute prices to meet your strategic financial objectives. PROS is known for delivering rapid and significant value to our customers, with ROI that increases over time, and low total cost of ownership. Founded in 1985, PROS has implemented more profitability management and optimization solutions than any other market provider. We draw from decades of experience and an ongoing investment in R&D to deliver the world’s top pricing software solutions across a diverse set of industries. PROS operates globally, with world headquarters in Houston, Texas and European headquarters in London, UK. TIBCO Spotfire products offer a visual and interactive experience that helps professionals quickly discover new and actionable insights in information. Distinguished by its speed to insight and adaptability to specific business challenges, Spotfire rapidly reveals unseen threats and new opportunities, creating significant economic value. Spotfire customers include industry leaders among the Global 2000 that have deployed Spotfire analytics to gain an information advantage over their competitors. The TIBCO Spotfire product family includes S+ and Miner. Spotfire Miner intuitive drag-and-drop user interface enables users to rapidly develop sophisticated data mining and predictive models without complicated scripts or programming languages. Users can quickly create visual workflow diagrams by selecting icons representing every stage of the data analysis process, from import through data cleaning, manipulation, and transformation. New analytic methods can be developed using Spotfire S+ and applications can be deployed and automated using Spotfire S+ Server. Fuzzy Logix pioneered in-database analytics and leads the market with the most comprehensive high-performing library of in-database analytic functions available. With support for many databases including IBM (Netezza & Informix), Teradata (Aster Data), SQL Server, MySQL, SAP/Sybase IQ and ParAccel, and strategic partnerships with IBM, Sybase (SAP), and Quest software, and with many Fortune 1000 customers, Fuzzy Logix has become the standard for in-database analytics in the market. Our GPU Appliance, TANAY, makes accessing the power of GPU technology easy and includes a library of over 300 functions that can be invoked from DLLs or Shared Objects. In addition to our products, we offer a full set of consulting services for customers who need help in adopting analytics. Yottamine Analytics is dedicated to providing state-of-the-art predictive modeling services to help companies unleash their data’s maximum potential. We specialize in high precision and big-data predictive analytics software and services through the Yottamine Predictive Analytics Platform. By combining the power and flexibility of cloud computing with advanced predictive analytics in a user-friendly manner, we allow our customers to build highly accurate data-mining models to maximize their ROI from predictive analytics. The Yottamine Predictive Analytics Platform is to be launched in March 2011. There are numerous companies that provide consulting and managed services capability. We illustrate a few representative ones below. Opera Solutions is a Big Data analytics solutions company and one of the world’s premier centers of machine learning, with 180 data scientists from 20+ disciplines among our 650+ employees. Combine advanced predictive analytics, machine learning science, and deep domain expertise to create and provide ongoing delivery of solutions that drive productivity and profitability improvement for global top-tier companies. Opera builds and delivers solutions through its advanced Big Data analytics and processing platform, Vektor. The company serves a range of industries and functional areas, including Financial Services, Healthcare, Government, Supply Chain, Marketing, Retail, Media/Entertainment, and Travel/Lodging. Mu Sigma is a provider of decision sciences and analytics services, helping companies institutionalize data-driven decision making. Mu Sigma works with market-leading companies across multiple verticals, solving high impact business problems in the areas of Marketing, Supply Chain and Risk Analytics. With over 50 Fortune 500 clients and about 1300 analytics professionals, Mu Sigma provides value by integrating the disciplines of business, math, and technology in a sustainable global delivery model. Further, analytical assets developed by Mu Sigma’s innovation and development team ensure a competitive edge to clients.Mu Sigma is headquartered in Chicago with its main delivery center in Bangalore, India. Deloitte’s deep industry expertise and advanced analytics capability can help decision-makers to maximize the value of their data. By looking at an organization from the inside out Deloitte’s Analyticscan turn everyday information into useful and actionable insights. Salford Systems is an analytics software development and consulting company with a proven record of technical and practical excellence. We offer a highly accurate, ultra-fast predictive analytics and data mining platform for developing models from databases of any size, complexity, or organization. Technologies span classification, regression, missing value analysis, and clustering/segmentation. Core components of Salford Predictive Modeler™ (SPM) platform include CART(r), MARS(r), TreeNet(r) and RandomForests(r). Automation accelerates the process of model building by conducting substantial portions of the model exploration and refinement process for the analyst. While the analyst is always in full control, the model anticipates the analyst’s next best steps and packages a complete set of results from alternative modeling strategies for easy review. Applications span fraud detection, credit scoring, market research segmentation, direct marketing, drug discovery and risk management. Industries using Salford Systems products and services include banking, insurance, healthcare, telecommunications, transportation, manufacturing, and education. With a focus on customer experience analytics, ForeSee continuously measures satisfaction across customer touch points and delivers critical insights on where to prioritize improvements for maximum impact. Because ForeSee’s superior technology and proven methodology connect the customer experience to the bottom line, executives and managers are able to drive future success by confidently optimizing the efforts that will achieve business and brand objectives. The result is better business for companies and a better experience for consumers. Merkle is an outsourcer which builds, scores, and maintains the models for churn, upsell, cross-sell, and segmentation. Northwestern University’s McCormick School of Engineering is offering a masters degree in analytics. The Institute for Operations Research and the Management Sciences (INFORMS) is the largest professional society in the world for professionals in the field of operations research (O.R. ), management science, and business analytics. INFORMS serves the scientific and professional needs of Operations Researchers and those in Management Sciences and Analytics including educators, scientists, students, managers, and consultants. The Institute serves as a focal point for analytics professionals, permitting them to communicate with each other and reach out to other professional societies, as well as the varied clientèle of the profession’s research and practice. ExactTarget is a leading cross-channel interactive marketing provider that enables organizations around the globe to engage in real-time marketing across email, mobile, social media and the Web. Through its Interactive Marketing Hub, marketers can plan, create, execute and measure targeted, campaigns built around a single, cross-channel view of the consumer. Supported by collaborative global services teams, ExactTarget’s technology integrates with more sales and marketing information systems than any other in the industry, including Salesforce.com, Microsoft Dynamics CRM, and Omniture. IAB SmartBrief is a FREE daily e-mail newsletter designed specifically for advertising, marketing and media executives. It aggregates and summarizes the latest need-to-know news and industry information, meticulously selected from a variety of media outlets to provide a snapshot of what’s happening today in the world of advertising. More than 57,000 readers make it a part of their daily routine for a quick, easy-to-read industry update. KDnuggets, Data Mining Community’s Top Resource for Data Mining and Analytics News, Software, Jobs, Consulting, and more. CustomerThink is a global online community of business leaders striving to create profitable customer-centric enterprises. Main areas of coverage are Customer Relationship Management, Customer Experience Management and Social Business. Smart Data Collective is a curated writer’s forum and discussion site published by Social Media Today LLC. Topics covered include business intelligence, data analytics, risk management and related topics for an audience of business leaders and IT experts. In addition to regular blog coverage, they also produce webinars, e-books, moderated Tweet chats and other forms of digital content. Visibility Magazine, is a guide to latest trends in internet marketing. Visibility conducts interviews with CEOs, shares opinions, reviews products, and provides a wealth of information about the movements in the industry. Additionally, Visibility will reach many fringe businesses that may have been contemplating entering or expanding their Internet marketing campaigns. Visibility is published quarterly and covers a wide range of topics including, but not limited to, organic optimization, pay-per-click marketing, website analytics, affiliate marketing, and press release distribution. 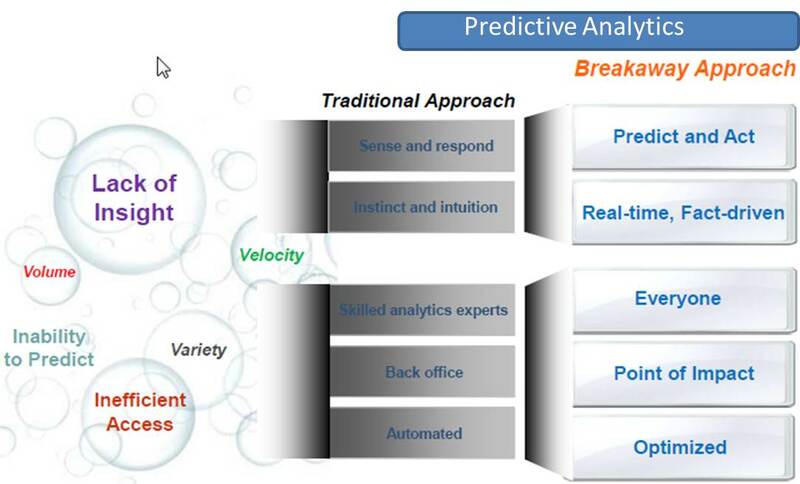 Excellent overview of “traditional” BI predictive analytics vendors. Question: Do any of these vendors extend the focus to partially-structured content (sometimes mistakenly called “unstructured” content), i.e., office documents etc.? Do you think there is a place for such content analytics in predictive analytics? I’m thinking specifically about MarkLogic. Good overview of service and solution providers in the business analytics space. In the Content Sites section, you may want to include http://decisionmanagementsolutions.com/ with a new book about Decision Support Solutions and the associated Decision Management Blog by founder James Taylor (http://jtonedm.com/). Great article and resources, a recent report (http://www.techaisle.com/pr-us-smb-business-intelligence.html) has tapped on the market potential for BI and predictive analyitics for SMBs. On this front, there are some apps exploring collaborative, predictive sales analyitics for B2B SMBs such as RankTab (http://www.ranktab.com). Internet Money Path Work for yourself! Extremely useful information particularly the last part 🙂 I care for such information much. within the post, we’d like develop more techniques on this regard, thanks for sharing. . . . . .
Good one. Check this link for more info. I found the Business Analytics 3.0 site in a search related to Big Data. I was really surprised to see the kind of information and the standard of information being so HIGH that too available FREE for public consumption. I really like the articles by Mr. Ravi Kalakota. All articles including this one are excellent and cover the Technology, Domain and the Business equally well. Thanks to the team and I look forward to more interesting and insightful articles. I being an strong proponent of Big Data and Analytics and Social Media Monitoring and Analytics technology / Domain /Business have found the site and the articles truly useful. Thanks.